So I don’t live in Texas (or close enough to drive there, unfortunately) but I keep finding fun things there that make me just a little jealous. Take for instance, the movie theater chain Alamo Drafthouse. This is a really awesome theater, stadium seating and small tables, where you can have a meal while you watch a movie. Or cereal while you watch old cartoons. There is one where I live (thank you, thank you!) and I love saving up for that one awesome movie that I just really want to see on the big screen with a pizza and plate of chocolate chip cookies. But there’s also a part of Alamo that isn’t in the theater. For adults, waiting for their movie, Alamo offers associated bars, right next door, where they can enjoy a few drinks before seeing the show. Personally, I prefer the milkshakes you can order during the movie, but I found out recently that different Alamo locations have different bars, and the one in Austin Texas just sounds so much cooler than the one here. 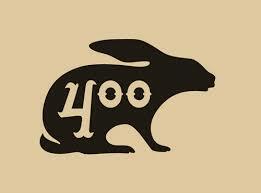 It is called 400 Rabbits. A friend of mine noticed the name as one of the associated company’s in Alamo’s email chain, and we wondered “what sort of company would have a name like that?” Well, Google answered, no company would–but a bar does, and the bar’s website explained why. 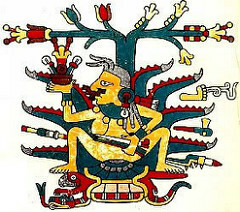 “In Aztec Mythology, the goddess Mayahuel rules both fertility and the maguey or agave plant. Along with the god Patecatl, she protects the maguey and its fermented sap, or pulque. One night, in a fit of passion, Patecatl and Mayahuel consummated their relationship and Mayahuel found herself pregnant. She gave birth to the Centzon Totochtin or 400 Rabbits, who were nurtured on pulque from her many breasts, and grew into the Gods of Drunkenness. These divine rabbits travel through the land, frequent parties and gatherings and deliver the gift of drunkenness to the people, with each Rabbit representing the different ways in which a person can experience intoxication. Now can you see why I am just a little bit jealous? How many bars teach you mythology about drinking and alcohol? I will never look at rabbits the same way again.